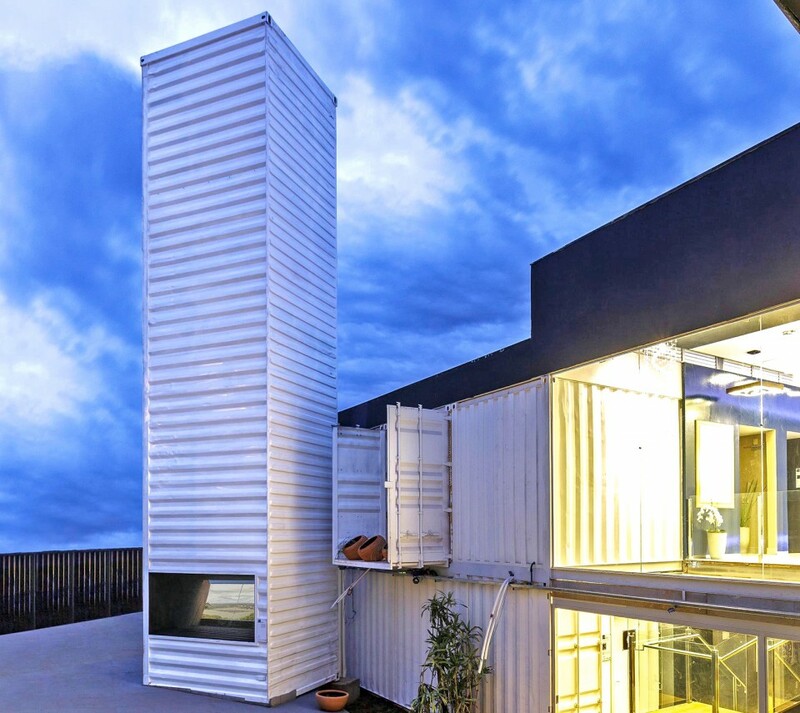 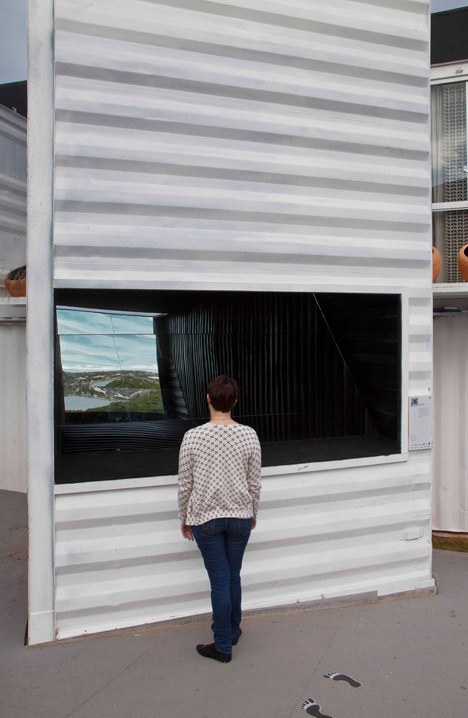 A brilliantly low-tech way to provide a unique view of the surrounding landscape, this massive yet cost-efficient shipping container periscope uses the same elementary construction principles as those childhood do-it-yourself milk carton equivalents. 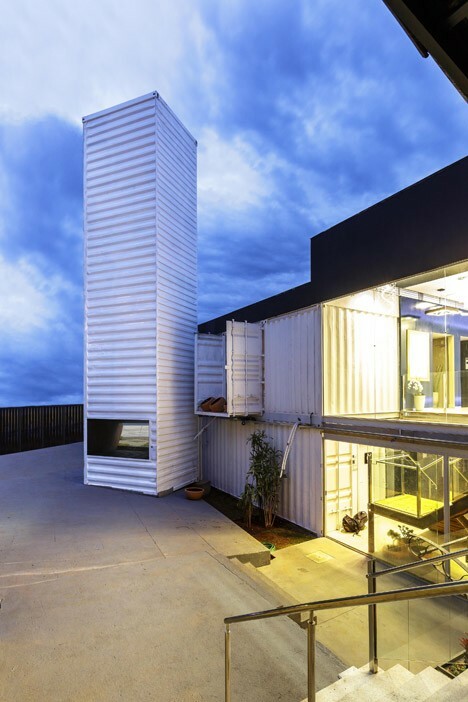 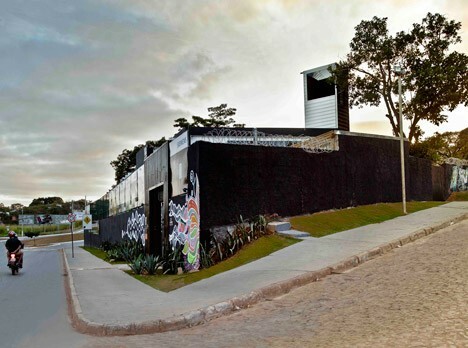 Framing a clear vista of the nearby Lagoa Santa, a Brazilian lagoon, this upturned container designed by Pedro Barata e Arquitetos Associados sits alongside a structure likewise built in part from containers. 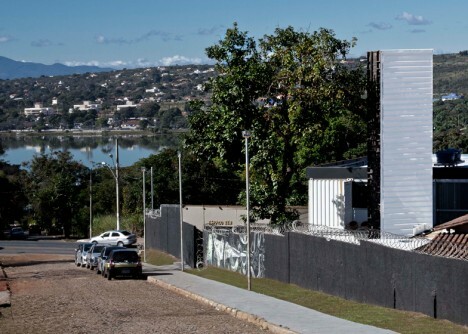 Though a one-off idea for now, this would be a great low-cost solution for sites where excellent views are close but building permanent staircases and decks would not be feasible. 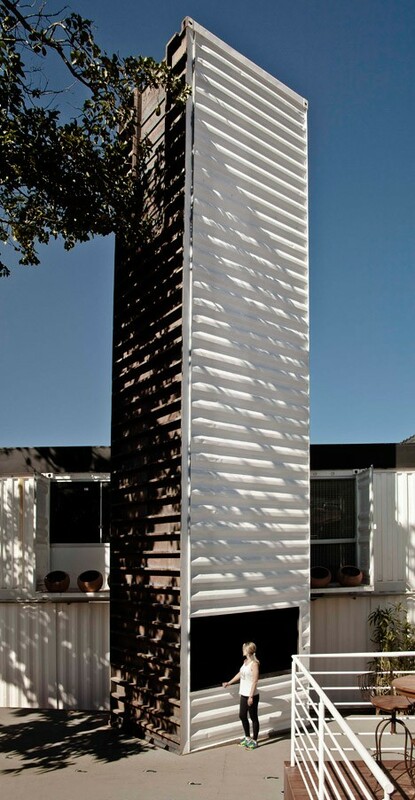 Analogous to the traditional role of a fireplace and chimney inside a home, the tall structure is also a natural focal point for outdoor gatherings. 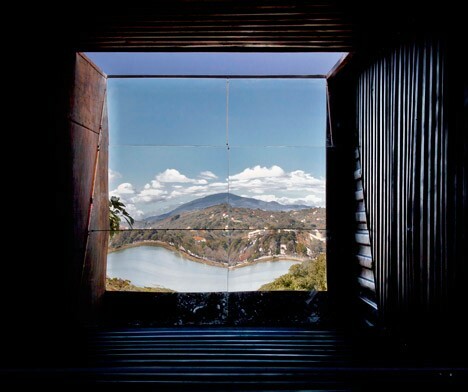 A simple system of wood supports and set of mirrors tilted at 45 degree angles reflects the view above for onlookers below. 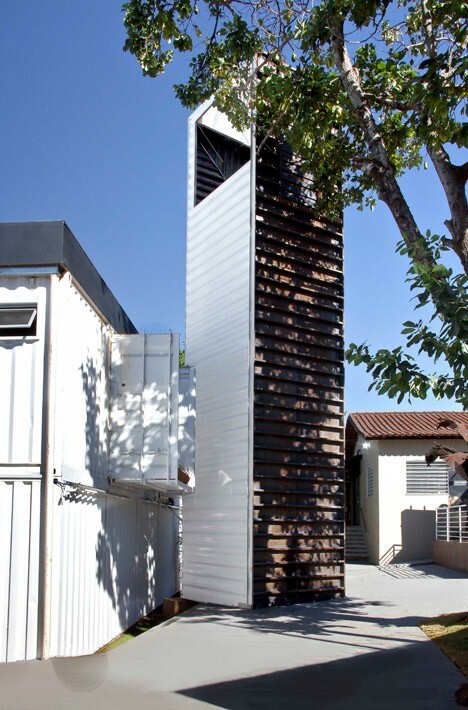 It is ultimately designed to travel, set up to similarly enable views elsewhere, before coming to rest in a final spot yet to be determined.